Netherland’s ‘Best BIM Office Award’ winner HFB is a full-service virtual construction agency in Rotterdam where human relations and construction technology go hand-in-hand. After the 2008 crisis, embracing the latest technologies became essential to continue towards a successful future. HFB realised virtual construction as the future of construction, they quickly adopted cloud-based construction collaboration software for their business. After exploring many technology solutions, HFB decided that BIM 360 would be the dynamic set of tools to help them in their projects and win new business. By utilising BIM 360 the company demolished the limitations of design. Now, houses and office buildings are not the only things HFB builds - they have an extensive portfolio including labs, hospitals, museums, royal palaces, city centres and more. HFB’s adaptation of construction technology turned out to be so successful, they even took on a consultative role. The company is now providing extensive guidance to employees company-wide during the implementation of new technology methods. Project Summertime is a great example of an HFB project taking advantage of BIM 360 to drive successful results. A design by Search Architecture and Urban Planning constructed by BAM Woningbouw Amsterdam, this unique apartment complex was designed and constructed with no two corners the same. BIM 360 was the backbone of this project as a whole, and has brought many benefits to HFB throughout the construction process. To know more about how adopting BIM 360 helped HFB to continue towards a successful future, check out how cloud-based construction collaboration software helps HFB build without limits. 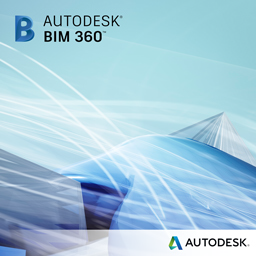 Please leave comments below to let us know how you have used BIM 360 on your projects too!